2018 was one of the roughest years in recent history for USC football and 2019 hasn’t been much kinder to the Trojans. Although the Trojans managed to sign arguably their most coveted recruit in five-star WR Bru McCoy‍ after fighting off an impressive pursuit by the Texas Longhorns, McCoy decisided to enter his name into the NCAA Transfer Portal. While mulling over the decision to leave the school he’d dreamed of playing football at since he was a young child was painful, McCoy had committed and signed his letter of intent to USC based largely off the Trojans hiring Kliff Kingsbury as their offensive coordinator. 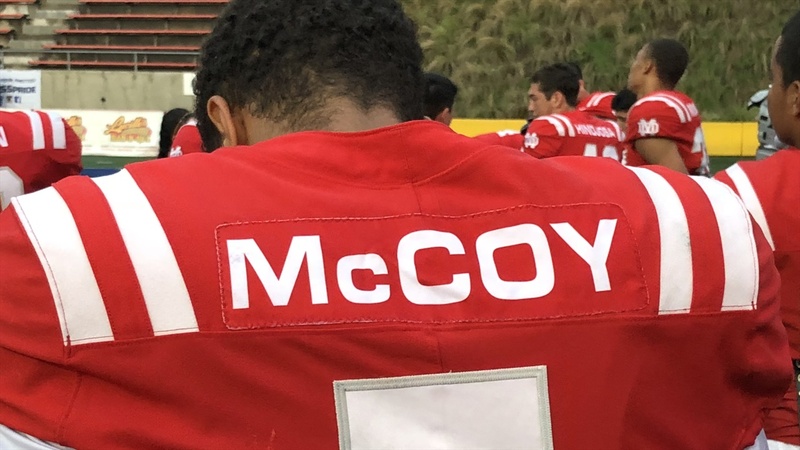 McCoy enrolled at USC days after playing in the All-American Bowl and announcing his commitment to Trojans in San Antonio on Jan. 5, but Kingsbury was hired as the head coach of the Arizona Cardinals on jan. 8. Kingsbury departing for the NFL a day after McCoy enrolled at USC didn’t sit well with him and several other prospects who signed letters of intent on Dec. 19, but none were as close to signing with another school as McCoy. Over the past two weeks McCoy realized he may have signed with USC for the wrong reasons. While McCoy has several former Mater Dei teammates at USC, one being close friend in starting QB JT Daniels‍, it wasn’t enough to overcome his desire to pursue an opportunity elsewhere. USC hasn’t missed out on as many elite prospects from southern Califonia since Paul Hackett was the head coach. And 2019 is the year USC proved USC doesn’t recruit itself. The Trojans ended up signing McCoy, despite not making an overwhelming case for USC being the best choice. Tom Herman and the Texas staff, especially passing game coordinator Drew Mehringer, outrecruited Clay Helton and the USC coaching staff from start to finish. McCoy left Austin, TX after his official visit in September seriously doubting whether USC was where he wanted to play football. That doubt was still present two weeks after enerolling and led to his decison to enter the transfer portal. TrojanInsider.com was told USC would be willing to let McCoy out of his letter of intent and he’d enroll at another school this semester. It’s unknown if the NCAA would grant him a waiver allowing him to play as a true freshman at another school like Texas.